A small boy makes a birthday wish. After his father repeatedly lets him down, even missing his birthday party. He wishes that, for just one day, his father couldn’t lie. Now that shouldn’t be a problem to fine, upstanding lawyer. Should it? Fletcher Reed (Jim Carrey) has always put his career first. It has already lost him his marriage to Audrey (Maura Tierney), now it threatens to lose him his son, Max (Justin Cooper). With a highly pressurised court case on that depends on witness perjury, Fletcher finds himself in odder and odder situations as he must answer everything he’s asked and answer it truthfully. Can the truth set him free? 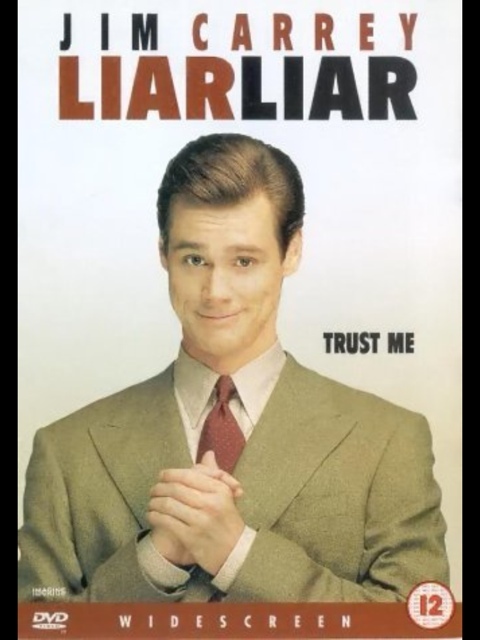 One of Jim Carrey‘s best movies in my opinion. Stuffed full of the antics we have grown to love, he even thows in a few new ones just to keep us all off guard. The “truthful” conversations he has and the inability not to blurt out ther truth are childish but extremely funny. The plot involving the continued ability to see his son works because of a decent chemistry between the four leads, including the young Justin Cooper as Max, Audrey and Fletcher’s son. Audrey’s new boyfriend, Jerry, is played with normal confidence that we’ve come to expect from Cary Elwes. « Google Update Chrome. Again.